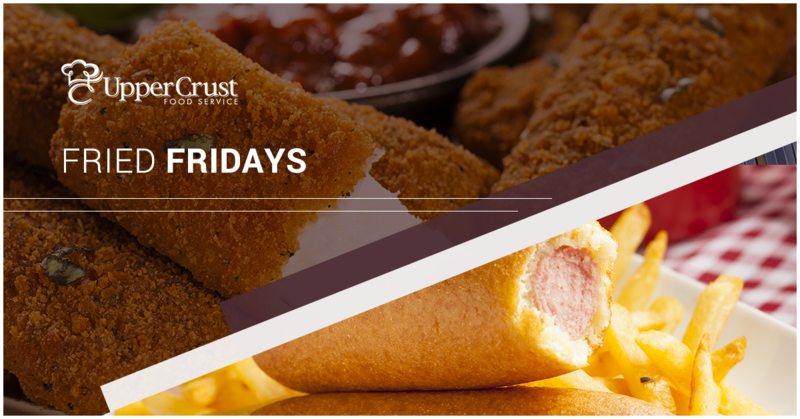 For Upper Crust Food Service kitchens, “Fried Friday” brings the promise of popular fried favorites as well as twists on the traditional fare. Alongside staples such as chicken tenders, corn dogs and mozzarella sticks, our chefs also offer up delicious fried macaroni and cheese bites as well as fried Oreos. Seriously, you haven’t lived until you’ve tasted our creamy macaroni and cheese wrapped in a crispy, fried shell…it’s decadence personified. A fixture at southern fraternity and sorority houses, we continuously hear “Fried Fridays” are one of the best parts of the week. Of course, we pair these tasty creations alongside lighter provisions including a full salad bar complete with fresh fruit and vegetables because life is all about balance, right? Adding “Fried Friday” as a tradition at your house is as simple as giving us a call. Allow our team to customize a meal plan that perfectly fits your needs and budget.